Enjoy an evening of family-fun as Santa and Ms. Claus light the Menifee Roundabout Oak Tree during the city of Menifee’s second annual Menifee Christmas Tree Lighting event. The event will take place at the Menifee Town Center located within close proximity of the new homes at Audie Murphy Ranch on Saturday, December 12th from 4 pm to 8 pm. The event will feature food and craft vendors, a snow play area and much more. General admission is free and all-access wristbands will be available for $5 which provides attendees access to the snow zone and game booths. 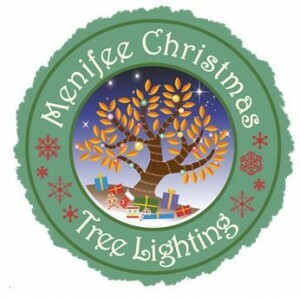 View more details at the city of Menifee. This Saturday, December 5th the city of Menifee will celebrate the opening of Spirit Park at Audie Murphy Ranch from 11 am to 2 pm. 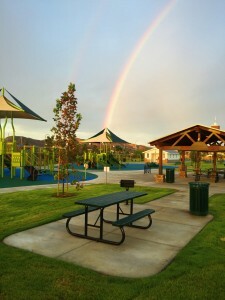 This new 8.78 acre park will introduce a host of new amenities for homeowners at Audie Murphy Ranch and the general public to enjoy. Join the city for this highly anticipated event that will feature food, activities and fun for the whole family. Explore the new lighted tennis courts, basketball courts, children’s play areas, open grass fields, walking trails and much more. For more details, visit the city of Menifee.